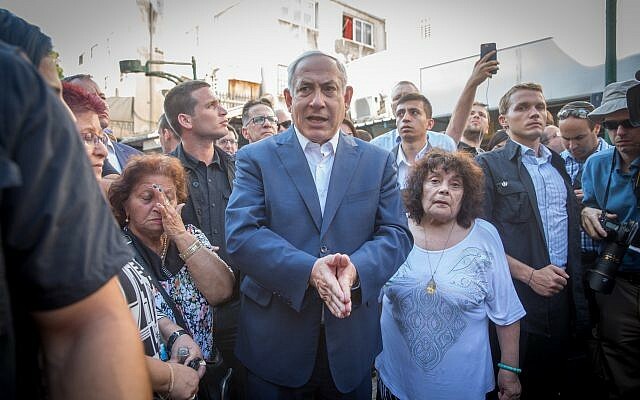 A 70-year-old resident of an impoverished southern Tel Aviv neighborhood who had been promised safety by Prime Minister Benjamin Netanyahu has been hospitalized after being violently robbed near her home, a report said Sunday. Sophia Menashe, who was frequently featured in recent years in a campaign against African migrants in south Tel Aviv, was “viciously” robbed over the weekend on the central Levinsky Street, Channel 10 news reported. She was at Tel Aviv’s Ichilov hospital, the report said, adding that police were investigating the crime and searching for the suspect, for whom there was no detailed description. Antagonism in Israel toward migrants has hardened in recent years with an estimated 38,000 African migrants in the country facing hostility from lawmakers and residents in communities with high migrant populations. Many of the migrants have settled in poorer neighborhoods in southern Tel Aviv and other towns, sparking tensions with longtime residents. 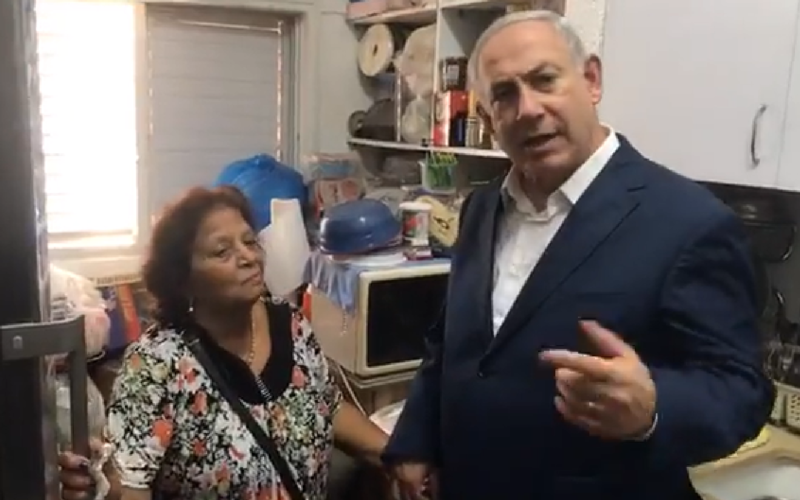 In August 2017, Netanyahu visited Menashe’s home and promised to help her and other residents of southern Tel Aviv, where the government has placed thousands of Eritrean and Sudanese asylum seekers over the last decade. The visit — published as a live video on the prime minister’s Facebook page — came after a ruling by the High Court of Justice that said the asylum seekers couldn’t be held at the Holot detention facility for more than 60 days. The top court has repeatedly stymied the government’s efforts to imprison and deport African asylum seekers from the country without examining their asylum requests or, the court said, sufficiently ascertaining the safety of the countries to which they were to be deported, as Israel is required to do under international treaties and Israeli law. Menashe told the premier in the video that she and another neighbor were the only Israeli citizens left in her apartment building, and added that she was afraid to walk alone in the streets. “Everything is full of illegal infiltrators from Africa,” Netanyahu said in the video. “But I see your bravery, and I see your distress and all the others’, and I’m going to help you, because this is our country. “They aren’t the masters here, we are the sovereign entity, and we’ll do what a sovereign entity must do,” Netanyahu told Menashe at the time, before hugging and kissing her. In April, Netanyahu bowed to coalition pressure and nixed a deal he made with the United Nations under which roughly half of the migrants would have been resettled in the West and others absorbed in Israel. Netanyahu announced in November that Israel would not be joining the United Nations’ global migration pact, signed on December 19 in Marrakech, Morocco, by most of the world’s governments. The US is among several other countries that have rejected the pact. According to a Pew Research Center survey in October, 57 percent of Israelis oppose accepting refugees fleeing war and conflict, ranking well behind that of citizens in many other Western countries. The Africans, mainly from dictatorial Eritrea and war-torn Sudan, began arriving in Israel in 2005, through its porous border with Egypt, after Egyptian forces violently quashed a refugee demonstration in Cairo and word spread of safety and job opportunities in Israel. Tens of thousands crossed the desert border, often after enduring dangerous journeys, before Israel completed a barrier in 2012 that stopped the influx.